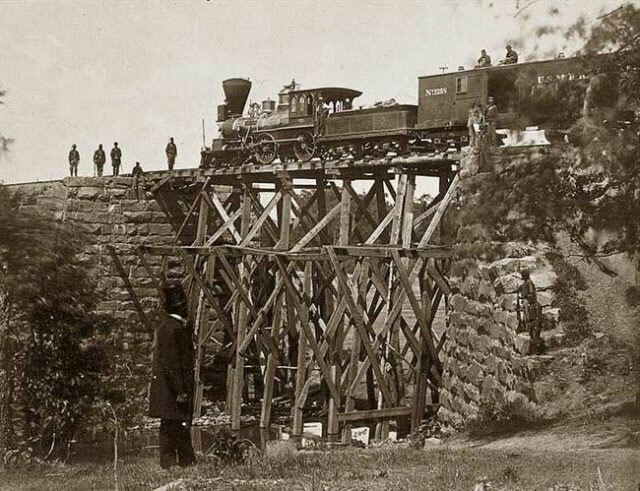 In the 1830s, the railroad boom started a new era in the building of railroad bridges pushing engineers to build towering wooden bridges that have become synonymous with the era. 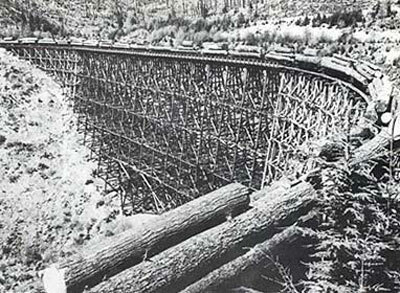 These majestic timber bridges are considered the only railroad-related technology that didn’t originate from Europe. 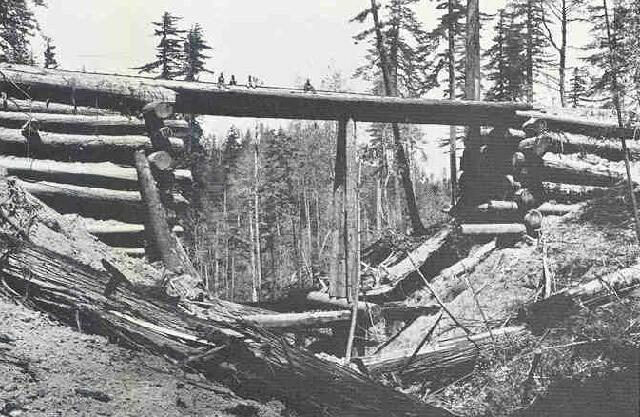 A home-made log bridge. 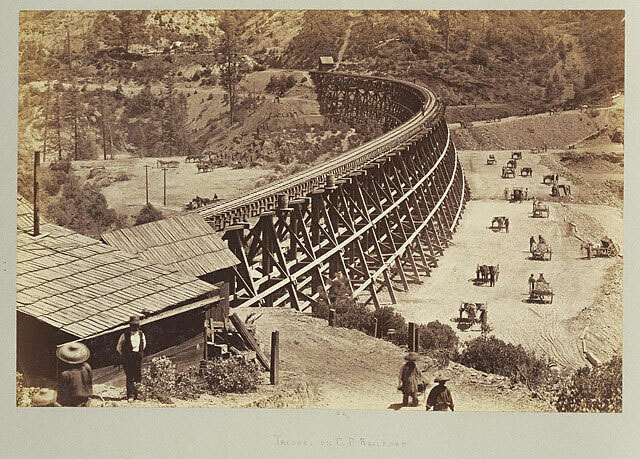 The men sitting atop the bridge give an idea of its height and the diameter of the redwood logs used for construction Company photo. 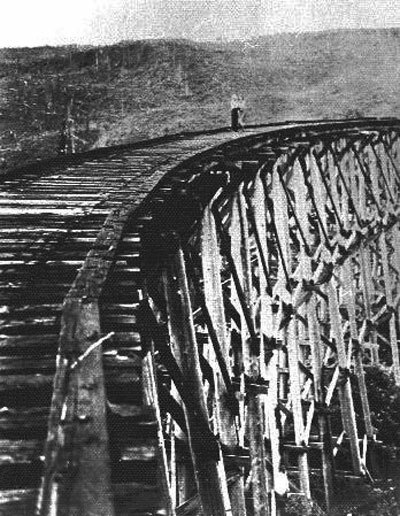 However, the early timber bridges had their disadvantages. 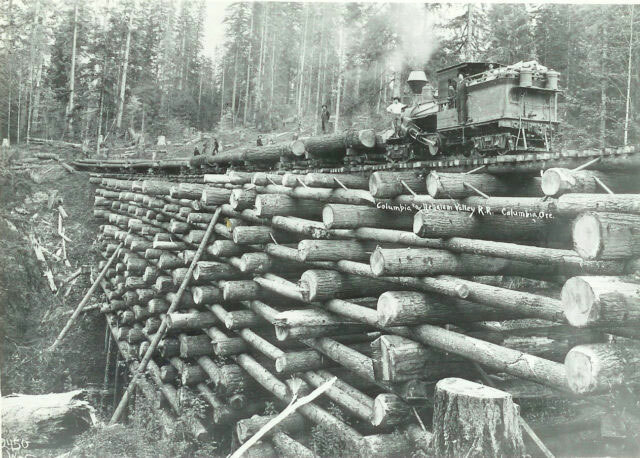 If untreated, the lumber would only last about 20 years and locomotives could easily cause the wood to catch fire. The incredible bridges were a quick way to get the route open to key locations. But but once established, the owners usually had them replaced with steel bridges or filled. 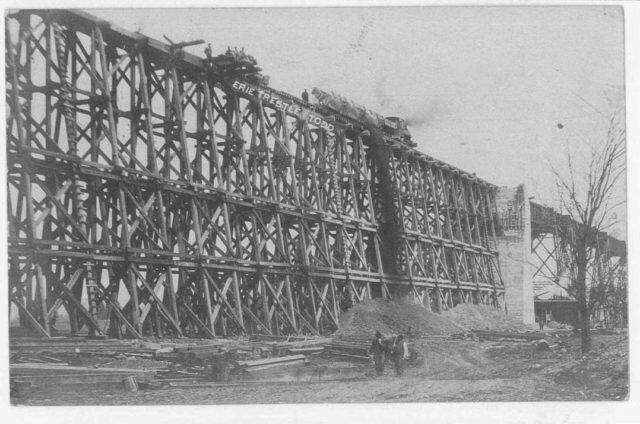 Bridge on Orange & Alexandria [Virginia] Railroad, as repaired by army engineers under Colonel Herman Haupt. 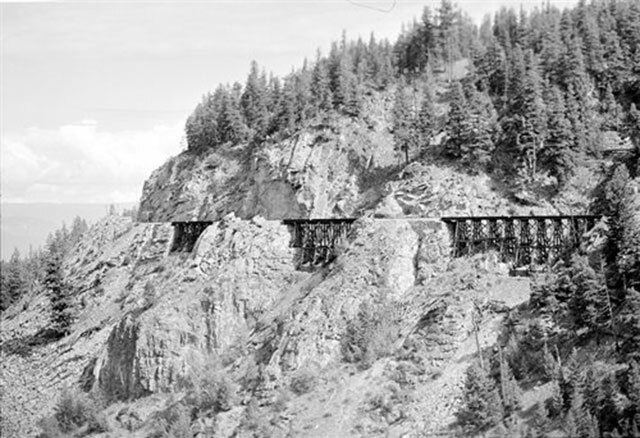 The Pacific Northwest of the United States and British Columbia in Canada took the lead in building towering trestle railroad bridges. 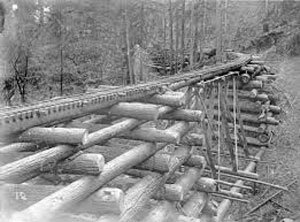 With lumber readily available from forests near the construction sites, building one was relatively easy for the engineers and also very inexpensive as compared to steel. Generally, there were two designs for timber trestles, each one with distinct features and functionality. 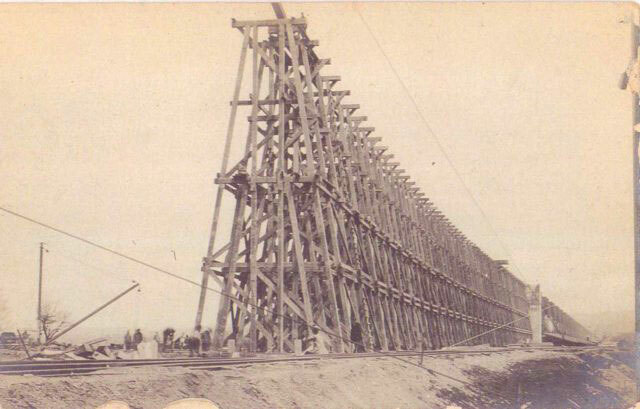 The most common was the Pile Trestle consisting of bents spaced 12 to 16 feet apart. Each bent consisted of three to five timber poles that were pounded straight down to the ground using a pile driver. To ensure some level of stability, the outer posts were battered creating an angle outwards. 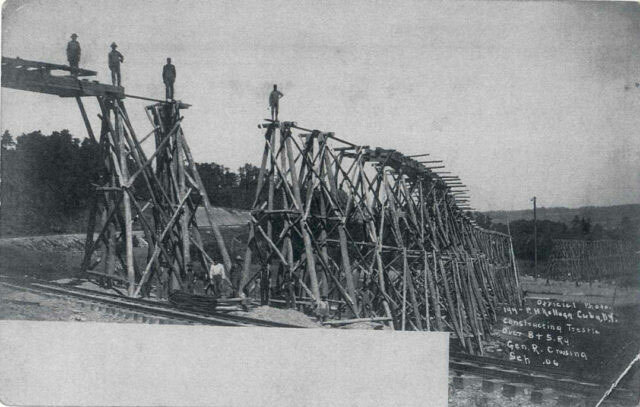 The top of the posts that were uneven were adjusted and cut to level with the cap during construction, provided additional support for the stringers and planks that held the weight of the rail. 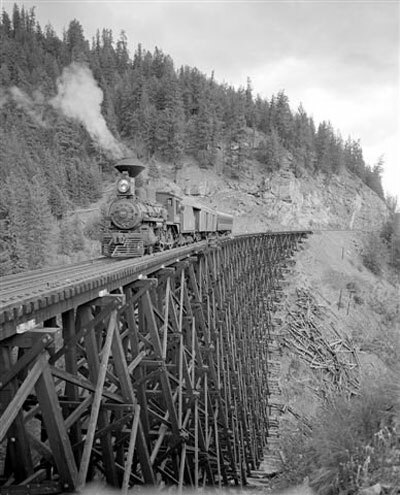 For the taller railroad bridges, the bent framed was used and sub sills or mud sills often acted as the foundation of the structure. The Dale Creek Bridge, 2 miles west of Sherman, Wyoming. 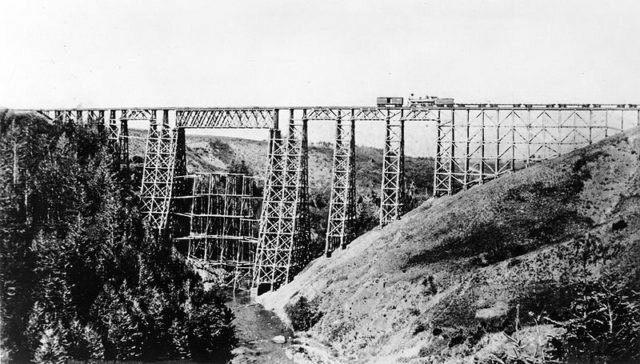 The curvature of the rail line was minimized through long graceful curves across several trestles. 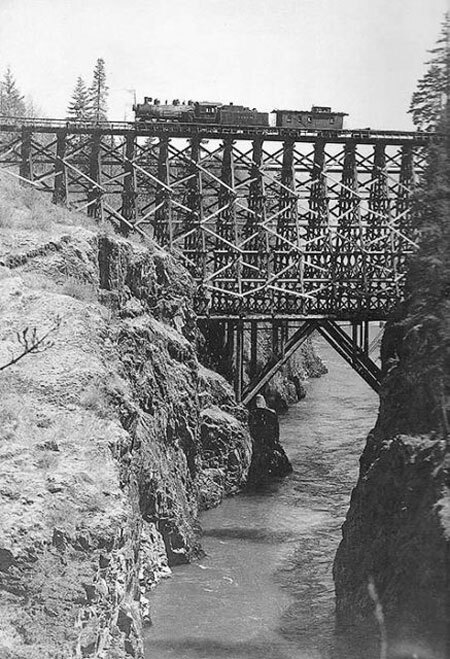 The largest of the wood frame trestles, the trestle at mile 87.9 crossing the West Canyon Creek, was a stupendous structure that was 750′ long and 182′ high, and turned the rail line almost 90 degrees over its entire length at the head of the canyon. 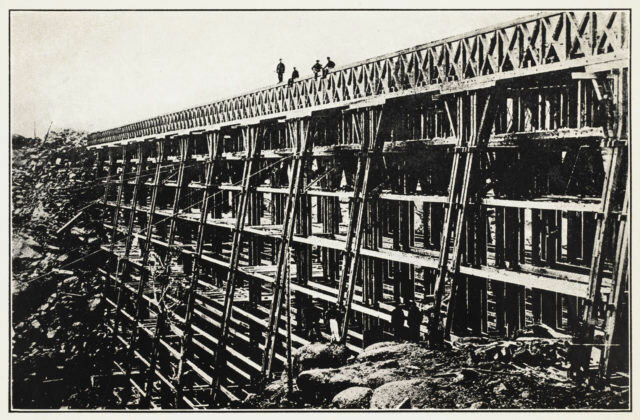 At the height of the timber bridge construction in 1800s, there were a dozen trestle railroad bridges built. None of them exist anymore. 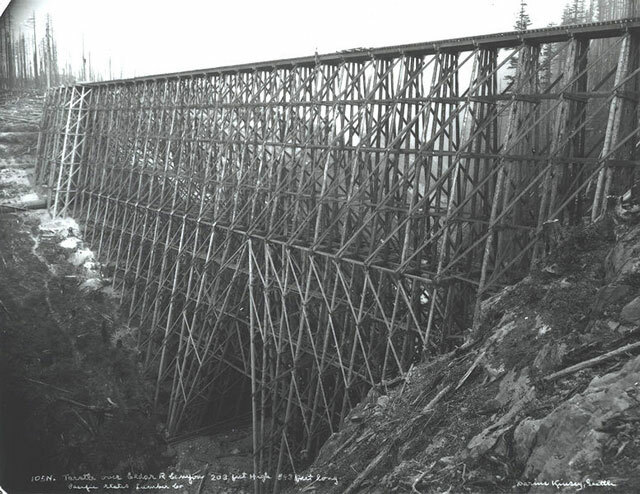 Most of these incredible bridges were built to enable transportation of log and were constructed in the Washington state in the US and on Vancouver Island in British Columbia, Canada.